While students admit that finding ways to spend your recreational time can be difficult in Ohio, it’s a small worry compared to the very low cost of living. Just to give you an idea, living in Ohio is about 23% less costly than neighbor state Massachusetts and 35% less than California. The Buckeye State is also home to several best colleges for video game design in the entire country. Established in 1870, Ohio State University has grown to become one of the country’s largest and most comprehensive campuses. Nearly 60,000 students arrive each year to choose from 250 degree programs while attending one of the 15 colleges. OSU has been ranked 18th by U.S. News & World Report’s 2015 edition of “America’s Best Colleges and is considered the state’s best public university. The school is also recognized for its acclaimed academic medical center and cancer hospital for research. With a B.S. in Computer Science and Engineering from OSU you’ll have no program breaking into the gaming industry as a skilled programmer and/or designer. The program has a strong focus on not just programming but communication and teamwork skills, which you’ll need to have a successful career in the game development industry. This program has everything you need to prepare you for a career in game development. Game developers all over the country (and world) always have their eyes open for a sharp, talented programmer to join the team. The downside to this program is that no courses in the art and writing side of game creation are required. Located in downtown Columbus, Columbus College of Art & Design uses 14 buildings to offer several Bachelor of Fine Arts and Master of Fine Arts degrees. Around 1,3000 students from across the U.S. and 35 other countries attend each year. Available undergraduate majors include: Fine Arts, Illustration, Industrial Design, Advertising & Graphic Design, Animation, Cinematic Arts, Fashion Design, Interior Design, and Photography. Several programs at this school will prepare you as a game designer, including the B.F.A. in Animation, Illustration, Cinematic Arts, or Advertising & Graphic Design. These degrees are also strong choices if you want a career in film, interactive media, film, music videos, and even commercials. No matter what you choose, there’s also an Animation/Game concentration that will give you the animation skills needed to land a job at a game studio. The biggest positive from studying at this school is the ability to choose several excellent Minors such as Creative Writing, Animation, Cinematic Arts, and more, including the Animation/Game concentration. The only thing you should worry about is that there is no programming-focused game design major found here. Full-time students at Columbus College of Art & Design paid $30,840 in tuition for the 2015-2016 year, or $15,420 per semester (12-18 credit hours) with a cost of $1,285 per credit hour for each additional hour over 18. Housing costs are between $8,390 and $10,310 , or between $4,195 per semester. One of the three meal plans are required: Bronze Plan: $1,920 per year; $960 per semester (125 meals / $150 flex), Silver plan: $2,400 per year; $1,200 per semester (175 meals / $125 flex), or Gold plan: $3,200 per year; $1,600 per semester (250 meals / $100 flex). Kent State University is considered one of the best Universities in Ohio for its renowned College of Architecture and Environmental Design and School of Nursing. Their Fashion School consistently ranks in the top 10 as well. Over 41,000 undergraduates and 5,500 graduates enroll each year to major in one of the many degree programs available. KSU has also won the Northeast Ohio Best Places to Work Award for four years running, which means the 2,000 full and part-time faculty are happy to be there while teaching the next generation of professionals. The B.S. in Engineering Technology emphasizes the applied aspects of science and engineering to prepare you for a career in product improvement, construction, manufacturing, and engineering operational functions. 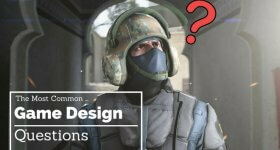 The Computer Design, Animation and Game Design concentrations is a must if you want to learn about computer animation, drawing, illustrating, and other game-related skills. The Computer Design, Animation and Game Design concentration is one of the best you can find in the state of Ohio. It offers the perfect variety of skills and experience with training in digital imaging, multimedia, motion capture, game design, computer animation, and more. Estimated tuition costs for Undergraduates is $10,012.00 for Ohio residents and $18,212.00 for Non-Ohio residents. Estimated tuition costs for Graduate students is $10,334.00 for Ohio residents and $10,334.00 for Non-Ohio residents. Ohio University was ranked in the top 3% by the Center for World University Rankings when ranking higher education institutions around the world while U.S. News and World Report ranks it 63rd among public national universities. According to a myplan.com survey across more than 600 colleges, OU was also ranked #1 in America for overall student satisfaction. Nearly 40,000 students are part of the school either through campus enrollment or online courses. Ohio University offers a Games & Animation emphasis area that focuses on the production of computer animation and digital games. 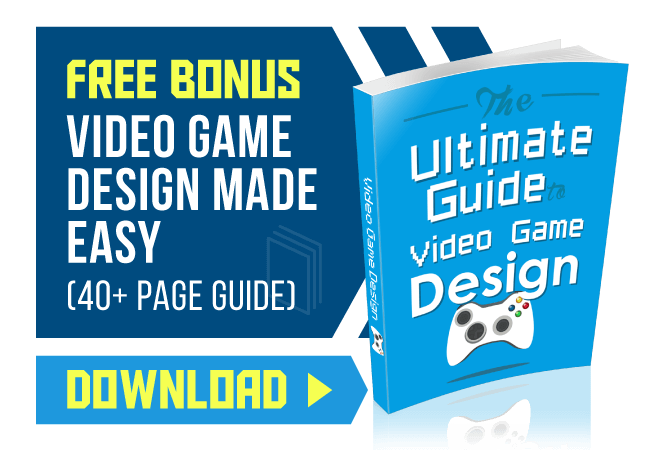 This includes giving you a deep understanding of the management and leadership roles in these industries so you’re able to climb the ranks of any game studio if desired. With this program you’ll learn what companies will expect you to know when you apply for job positions in game production and design, computer animation, and digital effects. The downside to this school is that a computer science game design degree is not available. Shawnee State University is a young but thriving school that takes pride in its small classes, allowing students a better educational experience by receiving more attention from professors. Around 4,4000 full and part-time students enroll to major in one of 80 different bachelor’s and associate degree programs. SSU also boasts one of the best graduate employment rates with around 83% of their students finding a job in their related field within 6 months of graduation. The school also boasts a high percentage of nursing and teacher education students who pass their national licensure exams as well as a pre-med students who get accepted into medical school. The Game and Simulation Development Arts is designed to turn you into a skilled, highly creative game artist via a series of strong course requirements. These include Art Studio, Digital 3D, Drawing, Digital Imaging, Graphical User Interface Design, Animation Studio, and more. You’ll also get some hands-on programming and game design experience with the Game Programing Foundations and Game Design & Documentation courses. Total tuition fees for full-time undergraduates is $3,532.08 for Ohio residents and 6,158.88 for Out of State students. For more information please see this page. Founded in 1902, Franklin University is a private nonprofit institution that for more than 100 years has helped students continue their education. Around 10,000 students enroll each year to be a part of many undergraduate and graduate degree programs in various fields. Franklin University is also recognized for being one of the best transfer schools due to their acceptance of more college and professional education credits than most other institutions. Franklin is currently the second largest private university in the state. Franklin’s Interactive Media Design degree completion program is a good choice for any aspiring game designer who is also interested in mobile apps and website development. You’ll receive training in both the technical and non-technical side of interactive development while completing projects that involve mobile, graphics, web and interaction design, and more. The cool thing about this degree completion program is that it covers several fields of interactive media: Graphic Design, Web Design, Rich Media, Mobile Design, Interaction Design, Concepting, and Project Management. The problem is that no 2-year or 4-year game design degree is offered at Franklin University. Miami University at Oxford is a nationally recognized institution offering bachelor’s degrees in more than 120 areas of study. Around 16,000 undergraduates and 2,643 graduate students attend the school each year. Accolades include 2nd in “Strong Commitment to Undergraduate Teaching” in a 2016 U.S. News & World Report ranking and being 1 of only 5 universities in America to receive the Presidential Award in the 2012 President’s Higher Education Community Service Honor Roll. According to surveys and research, 97.6% of 2013–2014 graduates were either employed or still studying by Fall 2014. By enrolling in the Digital Game Studies Minor you’ll get to take several courses that introduce you to the foundations of game design and implementation. Courses also give you a better understanding of art assets for digital games, the importance of digital games to trends in literacy and education, and developing a cultural and critical understanding of games. The strength of this Minor is that several Tracks are available: Game Art and Design, Game Studies, Game Development for non-Computer Science majors, and Game Development for Computer Science majors. The only negative is that it is a Minor and not its own 4-year degree. Stark State College is the perfect option if you want an excellent education in Ohio at an affordable price. Several associate degrees and certificates are available across many different fields, including Accounting, Chemistry, Mathematics, Biology, Digital Video and Media Technology, and more. Stark State College offers a Video Game Design and Development program that will give you a taste of the programming and animation side of game creation. Courses you can expect include C++ Programming, Flash Animation and Design, 2d Game Design and Development, Advanced Gaming and Simulation Topics, and more. SSC’s game program is notable for being well-rounded and letting students check out different programming languages and art software. It’s also not a costly program at around 63 total credits, which means you can earn your degree in two years for an approximate cost of $9,216.00. However, the main drawback is that a game design program isn’t available that focuses more on the art side of gaming, which would be perfect if you know you’re not cut out for computer science. 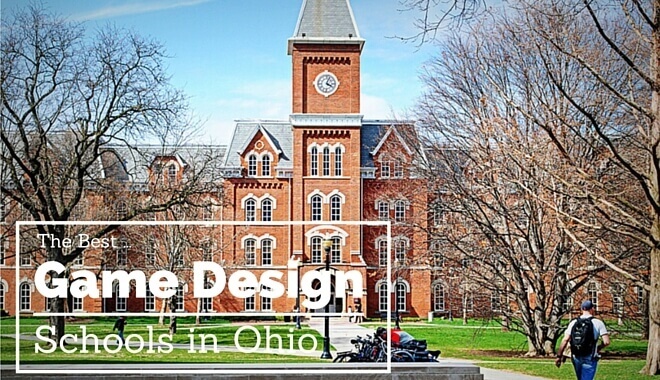 Ohio is a great place to study thanks to its numerous renowned schools that also offer a game design program. The lower cost of living can also make all the difference if you’re looking for a first-rate education but don’t want to pay several thousands just for room and board alone. At the same time Ohio is very much dead in terms of game development activity with only four companies appearing on gamedevmap.com, and none of them being names you’d recognize. Fortunately you’ll be somewhat close to East Coast states that do have a good number of notable game development companies, publishers, etc.